Despite everything the network has done for his company and presidential campaign, it looks like things might not be going so well between Donald Trump and NBC. He thought they were the best of friends when he hosted Saturday Night Live last year, but now he has made a discovery that shocks him to his very core: Saturday Night Live has been making fun of him. Can you even imagine? How could someone possibly make fun of the rich guy with the stupid hair and the orange skin who would have more money today if he had sat in a room and done nothing for his entire life and is also notoriously thin-skinned and childish? Where would anyone even start with making fun of that guy? 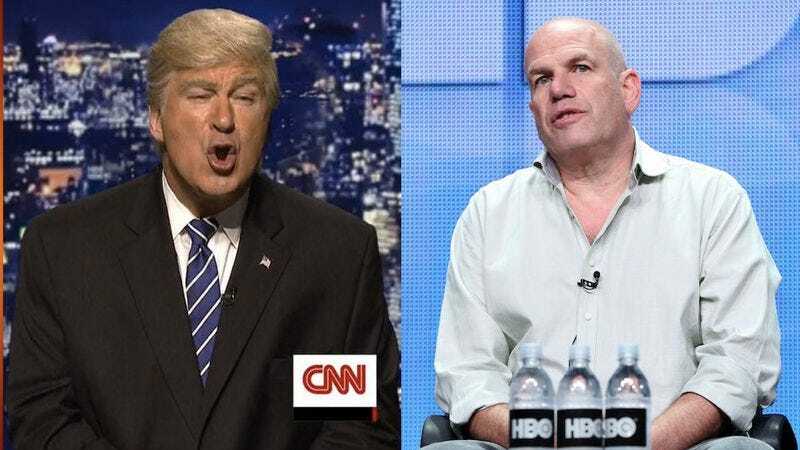 Clearly, David Simon made up the idea that Trump’s rhetoric is inspiring people to say terrible things, because there doesn’t seem to be any evidence of that happening anywhere.